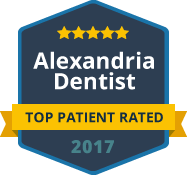 Same day dentistry is the solution for busy patients in Alexandria, VA. When you are finding it difficult to manage your dental appointments, Green Dental can provide same day dentistry. Green Dental provides convenient scheduling for our patients, allowing them to easily attend important general dentistry treatments. We do not believe you should have to attend multiple unnecessary appointments, costing you time and money. If we can provide you with all your essential treatments on the same day, it frees up your time and will help you manage the cost of dental treatment. Green Dental has found that providing same day dentistry is more effective in ensuring excellent oral health. Patients in Alexandria, VA, can greatly benefit from same day dentistry. We have both cosmetic and restorative treatments that are carried out on a same day appointment. Your Green Dental dentist uses a comprehensive exam to determine the treatments you need, allowing us to carry out treatments without delay. If your current dentist often requires multiple treatments to repair minimal damage to your teeth, Green Dental can streamline your treatment. Green Dental offers same day treatment and we may be able to provide your treatment today! The scheduling processes we use at Green Dental are designed to provide convenience to our patients. We reserve slots for emergency treatments, which allow our patients to avail of treatment on the same day they book an appointment. Same day appointments are ideal for emergency cosmetic and restorative treatments. When you have an important social event or simply can’t find time to book an appointment, you can receive treatment when you find yourself with a rare day off. Contact Green Dental of Alexandria when you need emergency same day dentistry. We can likely provide you with all the treatments you need on the very same day.